The <httpProtocol> element configures HTTP keep-alive connections as well as both custom and redirect response headers that Internet Information Services (IIS) 7 sends to Web clients. A browser typically makes multiple requests in order to download an entire Web page. To enhance server performance, most Web browsers request that the server keep the connection open across these multiple requests, which is a feature known as HTTP keep-alives. 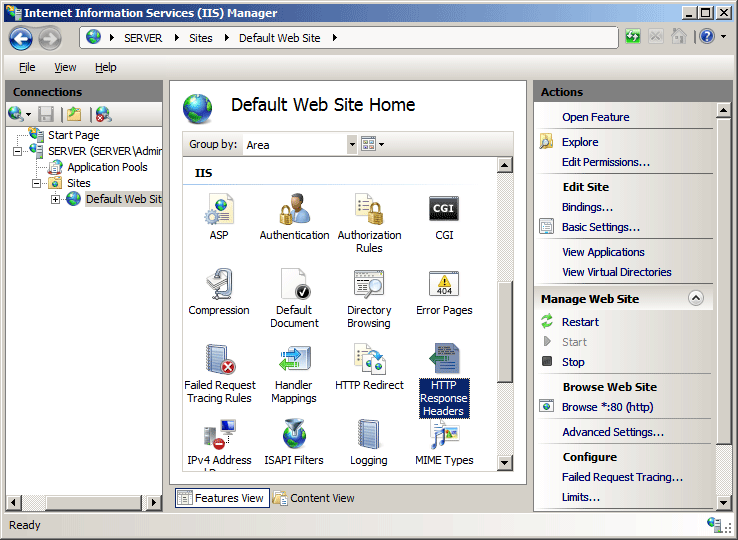 Without HTTP keep-alives, a browser that makes many requests for a page containing multiple elements, such as graphics, might require a separate connection for each element. These additional requests and connections require extra server activity and resources, decreasing server efficiency. The additional connections also make a browser much slower and less responsive, especially across a slow connection. 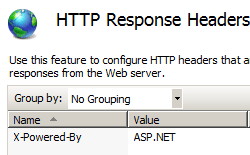 IIS 10.0 The <httpProtocol> element was not modified in IIS 10.0. IIS 8.5 The <httpProtocol> element was not modified in IIS 8.5. IIS 8.0 The <httpProtocol> element was not modified in IIS 8.0. IIS 7.5 The <httpProtocol> element was not modified in IIS 7.5. IIS 7.0 The <httpProtocol> element was introduced in IIS 7.0. 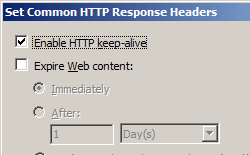 IIS 6.0 The allowKeepAlive attribute of the <httpProtocol> element replaces the IIS 6.0 AllowKeepAlive metabase property. The <httpProtocol> element is included in the default installation of IIS 7. In the Connections pane, go to the site, application, or directory for which you want to enable HTTP keep-alives. 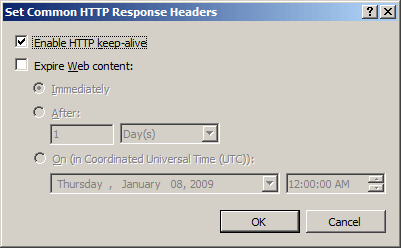 In the Set Common HTTP Response Headers dialog box, check the box to enable HTTP keep-alives, and then click OK.
Specifies whether keep-alive processing is permitted (true) or not (false). 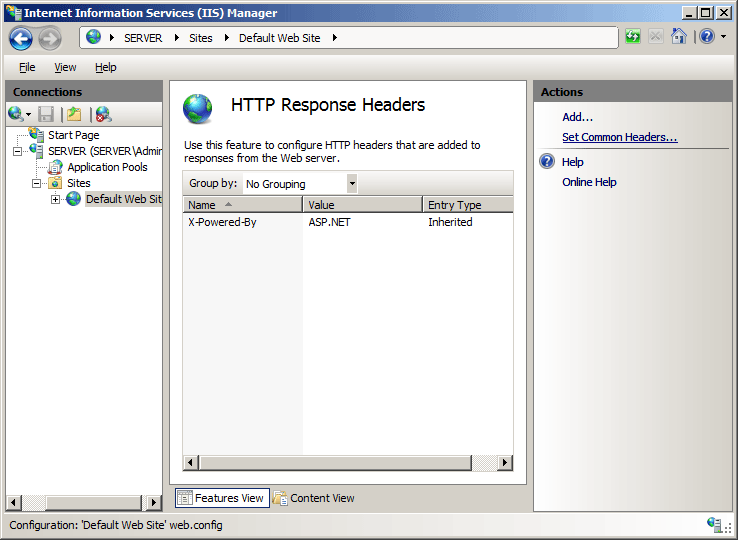 customHeaders Configures custom response headers that are returned in responses from the Web server. 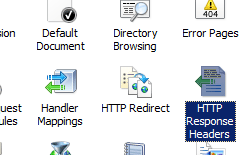 redirectHeaders Configures response headers that are returned in responses only when the Web server redirects requests. The following code samples enable HTTP keep-alives for the Default Web Site. The following default <httpProtocol> element is configured in the ApplicationHost.config file in IIS 7.
appcmd.exe set config "Default Web Site" -section:system.webServer/httpProtocol /allowKeepAlive:"True"